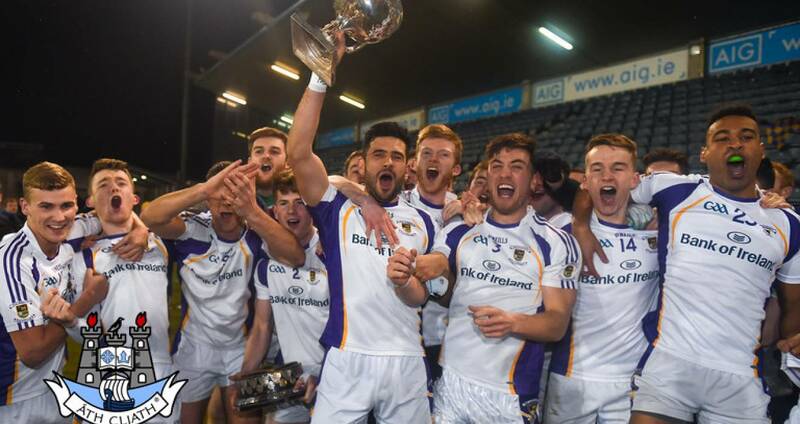 Kilmacud Crokes began what they hope will be a successful Leinster Club SFC journey when they face Meath champions, St Peter's of Dunboyne, in Sunday's provincial quarter-final in Pairc Tailteann, Navan (1.30). While Paul Mannion deservedly earned the plaudits with a stunning tally of 1-6, all from play, in the county final victory over St Jude's, the Stillorgan side's defence was excellent in quelling the threat of their opponents attack. Indeed both teams boast impressive defensive records heading into Sunday's clash which for Crokes co-manager Robbie Brennan is against familiar opposition. Robbie played and then managed Dunboyne for a spell following his playing days with Crokes and is currently a resident of the Meath village. Reflecting on their Dublin SFC1 final glory Robbie says: “One of the most pleasing aspects of the night was that the lads delivered such a good performance and that they were very disciplined and consistent in what they were asked to do. “I think that there were valuable lessons learned from two years ago when they lost to St Jude’s in the championship and they were determined not to make the same type of mistakes again. “Our focus was on executing our own game-plan and I think the lads did that very well." Crokes attention has long since turned to their upcoming Leinster clash against a Peter's side who have already tasted provincial success when beating Wexford's Shelmaliers (1-12 to 1-2) two weeks back in their first round tie. Before that Dunboyne won four and drew one of their five Group A in the Meath SFC round-robin section before overcoming Gaeil Colmcille, Simonstown Gaels and then Summerhill in the final with opposition teams finding goals hard to come by. It's a Dunboyne team that contains a few familiar names to those who follow Dublin club football. Dublin senior footballer Eric Lowndes' older brother Stuart and his former St Peregrine's club-mate Robbie Brennan are key men for the Meath champions. 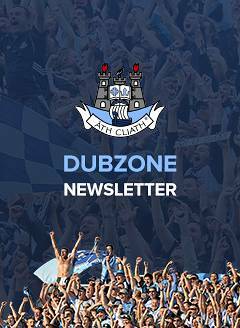 Lowndes hit 0-2 against Shelmalier last time out while former All-Ireland U21 winner with the Dubs in 2010 (managed by Jim Gavin), Robbie, scored 0-4. “While winning the county championship was great, we have to move on now and direct our attentions to St Peter’s," adds Robbie Brennan. “There is a nice bit of history between the teams as we met 20 years ago when I was playing for Kilmacud and then in 2005 when I was with Dunboyne." Crokes won both of those games with former Dublin senior Ray Cosgrove starring in both games. He scored 1-2 in the 1998 encounter and 1-10 in 2005. “Living as close as I do to the club, I know them all very well and they have developed into a very good team," says the Crokes co-manager. “Defensively, they are very strong and they have conceded very few goals so we are under no illusions as to the task that is facing us. “I would know them very well and they are a young team with plenty of pace so there are similarities between ourselves and St Peter’s." Crokes are just one of four clubs from the capital flying the flag for Dublin this weekend with St Maur's (JHC), Round Towers, Lusk (IFC) and St Finian's, Newcastle (JFC) also in action.